We appreciate you and your service. 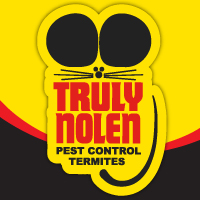 We have been using Truely Nolan for a couple of years. Jose Mendoza is always kind and helpful. Since he has been coming to our place there has been little or even no bugs inside the home. Thanks Jose see you next month. Technician was knowledgeable and thorough. Explained all steps of treatment. Mikey did a good job. Truly Nolen always does an amazing job! better give them a raise. thank you, Ben. Jimmy A is very professional and extremely personable. Thank you for all you do! Jimmy is an outstanding employee. He explained the problem I was having inside my house and what he would do to solve the problem. And he explained the other services he was going to provide on the exterior on both properties. As I’ve said an excellent job.